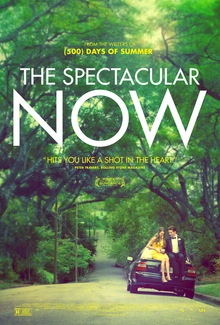 I recently watched a movie called The Spectacular Now and adored it. But as I thought about it, I wondered what exactly it was that I loved about it. It’s a story that didn’t follow the path I thought it would. I found myself predicting the plot like I usually do, but this time, since I was watching it alone, I was unable to share these predictions in advance. That turned out to be a good thing as I was wrong most of the time. That in itself is always a nice surprise, but the reason I loved it so much was because of the characters and the way they were portrayed. It has the beautiful Shailene Woodley and the talented Miles Teller, (both from Divergent) but instead of piling on the makeup and hiding their flaws, it let their naturalness shine. Their skin is far from perfect but it is real. And they both have problems. Real problems. Miles’ character, as adorable as he is, has a drinking problem and a desire for everyone to like him. Shailene’s character is not confident in herself (although not shy) and entirely too easily swayed by the character played by Miles. It occurred to me how tempted we are to make ourselves, (or our characters) perfect. By perfect, I mean not flawed. But, perfect characters are boring characters. The girl who always does or says the right thing, the girl who always looks flawless, the girl who keeps everyone happy, this girl does not even exist. And even if she did, I doubt she would create much interest. All of our favourite characters are flawed, and it is the flaws in people that endear them to us, not their perfections. In truth, people who appear perfect are the ones you know are hiding something. Some of the first feedback I received about my character Willow, was that she wasn’t all that likable in the start of my book. She was naive and a little too wrapped up in herself. At first I worried. Should I re-write her? Should I change some of the scenes in the beginning of my book to make her more appealing? But the more I thought about it, the more I realised that the reason she appeared to be those things, is because that’s exactly who she was. She is naive and focused only on herself, but I hope as people read my story they will see she changes, she grows. In fact now I wished I had made her more flawed. Is she perfect by the end of the story? By no means. And I wouldn’t want her to be. So I am not going to strive for perfection (who’s to say what’s perfect anyway), I am going to strive for honesty. And now I’m off to read The Spectacular Now the novel, I will leave you with the trailer for the movie. Let me know what you think. I took my son and his friend to see Dawn of the Planet of the Apes. I have watched the original Planet of the Apes with Charlton Heston, the remake with Mark Wahlberg, and the prequel Rise of the planet of the apes with James Franco. All of these were great, but I loved this one the most. 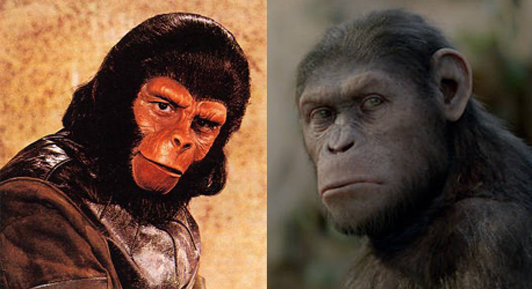 It is amazing to see the advances in technology and the changes in the depiction of the apes from the original to now. Unfortunately the 3D aspect was out of focus for the first few minutes of the movie, and I didn’t get to see it as I was alerting the movie staff (at the request of one rather annoyed boy.) But I did love that the opening scene and the ending scene were virtually the same. Both fully focusing on Caesar and the spectacular imagery of his face. The apes were simply superb. I am in awe of the visual effects created by New Zealand’s own Weta Digital. But I must say that the scene of Koba riding the horse into battle with guns blazing was my favourite. I mean, who couldn’t love a completely-over-the-top, insane scene like that? 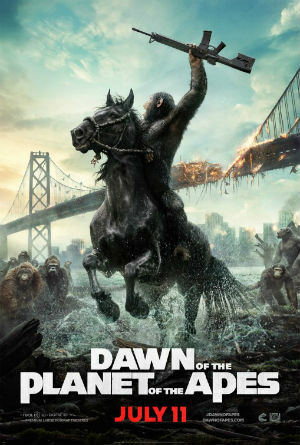 As for the plot, it follows the story of the humans and the apes alike. There were good human characters and bad human characters. There were good ape characters and bad ape characters. And there were ones in between, easily swayed by stronger characters. The conflict of who to trust and how much to trust them was evident on both sides. Simply put, I loved this movie, as did my son. 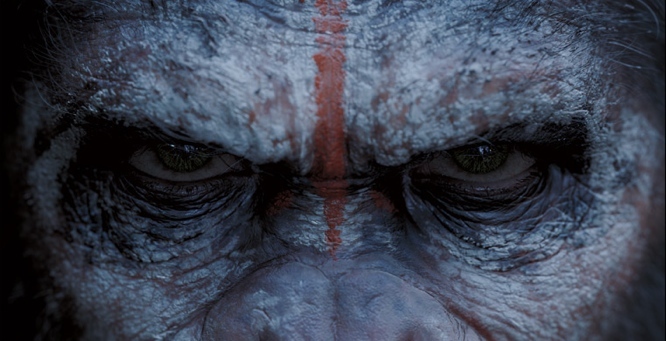 I can’t wait for War for the Planet of the Apes to be released in 2016. Today there was an article about me self-publishing my book. When the reporter came over I was nervous, and I’m pretty sure I got a case of verbal diarrhea, because although I said a lot of things, I barely remember them. Things like that tend to happen when I’m nervous. I knew she was coming over so I should have been prepared, but I have two options to me in cases like this. 1.) Think about what to say. 2.) Don’t think about what to say. You see the problem is, when I take option one, I end up twisting myself into a state of panic. I worry about things so much that in the end I want to back out of it. Believe me, this has happened many times. So although it may seem a strange approach, not thinking is serving me a little better. The reporter was a very sweet girl. We simply sat on the couch and chatted. I talked so quickly she could barely keep up with writing the notes in her shorthand style. Once she left I stressed over the small bits of conversation I could remember, but I wasn’t even sure if the article would make it to the paper, so I put it out of my mind. The next day the reporter brought back a photographer. Once again that flash of panic settled into the pit of my stomach, but I made the conscious decision just not to think about it. I know some of the people reading this may wonder what I had to be nervous about, and why I would feel panic, but this is part of me, and it always has been. My self confidence is simply not there, but I have the fortune/misfortune that my lack of confidence manifests in what looks like confidence. When I woke this morning my Facebook and messages were filled with people congratulating me on the article. I quickly opened up The Southland Times on my phone and was filled with relief that it was a nice and complimentary report that concentrated on the self publishing aspect. I really never had anything to worry about, which is usually the case. The thing that struck me most was the headline. DREAM COMES TRUE FOR AUTHOR. I looked at that headline, and even though those were words that had come out of my mouth, seeing them in print made me realise that they really were true. It had been my dream to become a writer ever since I developed a love of reading. As I grew up I placed this dream in the same category as becoming a rock star or an astronaut. Nothing more than a dream. Something I would think about but knew I could never accomplish. Life took over and even my love of reading waned. Then came along the Twilight Series. Yes, I know a lot of people hated the books, but a lot of people loved them. I was one of those people. I found myself up at 4am in the morning still flicking through pages, desperate to read more then so sad once I’d finished. This love of Twilight made one of my dear friends sign up for a writing course taken by author Deb Brammer, and convinced me to sign up too. It was while taking this course, I realised my dream may not be that far fetched at all. It was also this course that introduced me to my writers group Southern Scribes. Skip forward a few years and after many stops and starts, stressing and learning, I had a complete manuscript. My writers group encourage me to attempt self publishing and now seeing that article has reminded me that my dream has really come true. I’m still caught up in marketing and trying to get my book out there, but I also need to take a breath and realise that the little girl’s dream of writing a book has come true.